Girls Volleyball Team On a Roll! The Spartans, also 3-1 in the Lake Superior Conference, defeated the Hawks by scores of 26-24, 25-17, 25-12. Superior was led by Zoie Cole, 21 set assists and nine digs; Caleigh Jensen, 16 kills, three blocks and 14 digs; Lexie Lohman, three blocks; Hannah Hughes, 34 digs; Chloe Wilson, eight kills and 14 digs; Autumn Siers, 22 assists and nine digs; and Payton Schuster, 11 digs. Hermantown got 17 set assists from Rachel Menzel, 12 kills and 14 digs from Maddy Foster, and 13 digs from Hannah Mihalik. 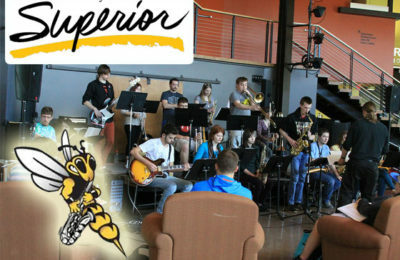 Superior will compete in the Duluth East Invitational at 9 a.m. Saturday, Sept. 22.